Teacher Wanjiku is currently a household name in the Kenya’s competitive entertainment industry, thanks to Daniel ‘Churchill’ Ndambuki and his comedy show, churchil show. The hilarious and witty comedian recently delivered a beautiful bundle of joy named Zuri. 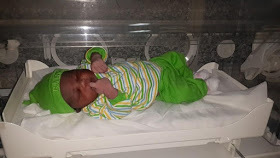 This comes at a time when a number of Kenyan celebs have given birth e.g Tahidi High’s bad girl Jolene, Toklezea hit make Chantelle (her child succumbed at the age of 6 months a 2 months ago ) and others are yet to deliver, the likes of size 8 and Janet Mbugua.